SUSAN ELIA MACNEAL: Thanks to all who left comments for Kiddo yesterday. Alas, due to internet issues, he couldn't respond. However, He'd like you to know his favorite subject is science, he wants to be an astrophysicist when he grows up, and he does not know how to write in cursive. OK, now on to today's post! There’s a funny scene in the HBO series Treme, set in post-Katrina New Orleans, where a tourist asks the bartender for a Sazarac. The bartender rolls his eyes and makes it begrudgingly, as all the locals order beer. When I go to Bouchercon this year (and hope to see you there), having a Sazarac is on my must-do list. WHO: Apothecary Antoine Amédée Peychaud, also known as the creator of Peychaud’s bitters, is credited with the creation of the Sazarac cocktail. WHAT: The Sazarac is a cocktail made with Absinthe (or Herbsaint), simple syrup, Peychaud's Bitters, and rye whiskey. It is New Orleans’ own cocktail because of the unique combination of French Absinthe (licorice-flavored liquor) and NOLA's own Peychaud’s bitters. Which leads to the question — WHAT ARE PEYCHAUD’S BITTERS? Basically, they are a fuchsia, slightly sweet bitters that make cocktails a bit more fun and sophisticated—and pink. I like pink cocktails. WHEN: According to legend, the Sazerac was created in the late 1830s. WHERE: The cocktail was allegedly created in Peychaud’s pharmacy on Royal Street and then popularized at Sazerac Coffee House, on Exchange Place in the French Quarter. The drink (and the Coffee House) were named for the brand of Cognac that favored the drink, Sazerac de Forge et Fils. Apparently, the cognac was changed to rye whiskey in 1870 due to availability and that’s when the absinthe was added. Add several small ice cubes and the rye whiskey, the Peychaud's bitters, and the Angostura bitters. 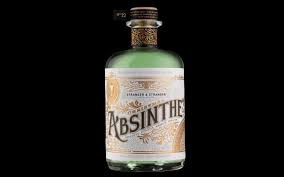 Stir well and strain into a second, chilled, Old-Fashioned glass in which you have rolled around a few drops of absinthe (or a mix of Pernod and green Chartreuse) to coat. Laissez les bon temps rouler! And hope to see you at Bouchercon! Reds and readers, when you travel, do you seek out local cuisine? What's the best thing you ever ate or drank on a trip—and where were you? Thanks for the recipe, Susan . . . definitely a cocktail to try. We do like to try the local cuisine when we travel. When we were in Minneapolis, we ate at a local restaurant in which there were literally hundreds of bottles of scotch on display. Patrons could join their scotch tasters club and have a glass of a different scotch every day for an entire year and still not have sampled all the varieties of scotch on display. Absolutely mind-boggling. They also served the best lamb shanks we’d ever tasted. But our very best discovery there was Scotch Eggs. I’d never heard of them or had one before, but we enjoyed them so much that now we make them regularly . . . .
Er, bit early for me to try the cocktail, but in my family bitters on a sugar cube was a cure for the hiccoughs! I love to eat local when I travel (and at home too). Conch fritters (from shell to pan with only a stop for the mallet in between) and ackee in Jamaica, hog fish fresh from the water in Sint Maarten, ploughman's lunch in a pub in GB, cassoulet in Provence, fried chicken in Georgia and pizza in Little Italy, NY. I'm hungry now. Cocktails... that one sounds yummy. I travel to eat. I can remember almost every meal from our first trip to France. Even the omelette aux fines herbes served in a cafeteria was sublime. Because the herbes really were fines... my first taste of fresh tarragon. Also peaches we bought in Como. They were the size of cantaloupes and filled our hotel room with their fragrance. Somewhere in the Yukon Territory on our way to AK we stopped at a small town cafe and had the best homemade cream of mushroom soup ever. When we came back I kept trying to duplicate it, but never have. Iced tea in Charleston, South Carolina. NOT BITTER! NOT TOO SWEET! It was such a hot day, they could've mainlined it and I would've died happy.... And in New Orleans--herbal iced teas-- ACTUAL FLAVOR! And not too sweet, again. The Sazarac got me thinking about drinks--(and I mostly don't do alcohol). And really--any meal I've ever had in New Orleans. I love local cuisine. But I'm not sure about that one. Does the sugar smooth out the rye? I have one must have stop on my trip to New Orleans and that is a stop at Cafe du Monde for a beignet. I'm not much of a coffee drinker, but I hear you can get hot chocolate. Looking forward to seeing you, Susan! What a fun post! And what a fascinating family history! I do enjoy trying local cuisine and can't wait to try a lot of the Creole dishes while in New Orleans. When I go home to the Eastern Shore of Maryland I can't get enough crab. Steamed crabs, crab cakes, crab just straight out of the container fresh from Kook Ice, picked and packed that morning, crab soup, crab dip. Hallie, I travel to eat too! Literally the first thing I look up when traveling to a new destination is the local cuisine. Off the top of my head, my favorite meals have been the moist brisket at Terry Black's in Austin, Texas; anywhere at the Tsukiji Fish Market in Tokyo, Japan (best sushi and the freshest seafood EVER); soup dumplings at Din Tai Fung in Taipei,Taiwan; and a little hole-in-the-wall joint around the corner from my hotel in Siem Reap, Cambodia. A bowl of beef stew ka tiew (noodle soup similar to Vietnamese pho) was only $2 and absolutely delicious. Oh, the best thing. SO difficult! Hmm. Peaches, with pecorino, in Tuscany. Grilled lobster in Nevis. Yum! And yes, even meal in PAris, I have to say, was astonishing. Even the baguette and sweet butter. Sigh. I'm so excited to meet you all down at Bouchercon! It's my first time attending and my first time in NOLA, so I can't wait for Beignets from Café du Monde. I just found out it's open 24 hours, so I might be there every morning before events kick off. You can bet deserts for breakfast. Speaking of good drinks--the WINNER of Nadine Nettman's wine mystery is KAREN IN OHIO! Yay! I'm taking a cocktail tour of New Orleans on Monday evening, so I should be an expert by the time Bouchercon starts. Susan, I can't wait to try this. Even if I don't like it, I can at least say I've had one. I'm getting so excited about Bouchercon. I haven't been to NOLA since I was a teenager with my parents, so cocktails were not on my list then, obviously. I did--and do--absolutely love the food. Like Hallie, I travel to eat, a lifelong avocation acquired from my parents. I always try local foods, but the most fun I've had with drinks was the week I stayed at Moorfield House in Boat of Garten in the Scottish Highlands. I was researching Scotch for a book, and the hosts had me try a different Scotch every night before dinner, with their personal recommendations. Most nights it took me the whole evening to finish the one dram, but it was fascinating. OK, that's it -- I gotta drink a Sazarac with you (and anyone who'd like to join us), Susan! Thank you for the recipe. 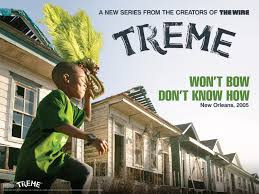 first time I heard of Treme tv series was when my cousin's husband mentioned that it is one of his favorite tv shows. I saw several shows on DVD after they mentioned the show. Believe it or not, I actually met the chef, who was standing behind me in line at a foodie event in SF. Love to try the local cuisine when I travel. it is funny because sometimes the local cuisine is not local, but a regional version of their home country. For example, I was in the UK when I had tandoori made by immigrants from their home country. Regarding local cuisine, I had high tea in England. I ate salmon in Scotland. Yummy. I had fish and chips, though tea and finger sandwiches are my favorites. In Germany, I had one of these long hot dogs. In Switzerland, I had rosti, aka hash browns in the USA. In France, I had kir royale (not sure if it is local to France? ), goat cheese salad, and chocolate crepes. In Italy, I had espresso and pizza. In Rome, my headache was so awful that I needed a triple shot of espresso to make it go away. In Florence, I had gelato. In Venice, I had pizza. Someone in my tour group opted for McDonald's hanburgers - ha ha ha. I am laughing because I cannot believe some people would choose McDonald's instead of pizza. Maybe McDonald's hamburger was cheaper? In Austria, I had potato leek soup - yummy! On another tour, I actually was living in the UK at that time. I had ploughman's lunch. In Denmark, I had their pastries. In Holland, they had wonderful pancakes, which are more like our crepes in the USA. The cheese was wonderful there. I stayed with a college friend in southern Holland and her mom made us cheese and eggs for dinner! Eggs for dinner was fun! When I was in Boston visiting a friend, we had clam chowder soup - yummy. Susan and Lisa, I would love to get together to try a Sazarac with you two and anyone else! It's on my must-try list for New Orleans, and seeing you two is on my list, too, so two birds with one stone, er, one Sazarac? I have a fascination with the history of Absinthe, so this drink is indeed a must. I arrive in NOLA Monday, should be at Marriottt by noon, and I leave the following Monday. Kristopher, you can tell us where the best Sazarac is to be had after your cocktail tour. I'm still thinking about that tour, as I love bars, the way they look, I don't hang out in them. My cell phone # is 270-993-6124. Susan and Lisa or anyone who wants to get together for that or anything else. It seems like my days are filling up quickly, but I'm keeping time open for the serendipitous and people I haven't yet managed to schedule in to see. I'm steering the Tuesday night dinner and music group I'm gathering toward Napoleon House for dinner for reasonably priced and varied menu and their speciality, Pimm's drink. I have heard you all, especially those of you who travel to England and those who write about it, mention Pimm's so much that I have to try that drink, too. And, Susan, your family continues to amaze me with its talent and interesting history. A family of violinists, who created a Creole orchestra? Just, wow!